Can we please take a moment to appreciate the fact that it is winter, aka citrus season? Obviously I love eating all kinds of fruits throughout the year like berries in the summer and apples in the fall, but there's something about the oranges, grapefruits and clementines in the winter that are just even more delicious. I could eat a clementine everyday (probably multiple) if you let me, one with every meal preferably. Not to mention, they have tons of health benefits such as helping prevent against cancer and stroke, are packed full of Vitamin C and even reduce stress. If you're in the chocolate mood, try dipping orange slices in chocolate fondue for a tasty treat, or sprinkle a little bit of sugar on top of half a grapefruit for a yummy breakfast. This week, instead of reaching for candy or a bag of chips, I challenge you to grab a clementine or orange - I promise you will become addicted too! Are you a citrus addict in the winter too? I love grapefruit! I eat one almost every day. Half in the morning with breakfast and half in the afternoon for a snack! They are the perfect healthy and budget friendly snack! 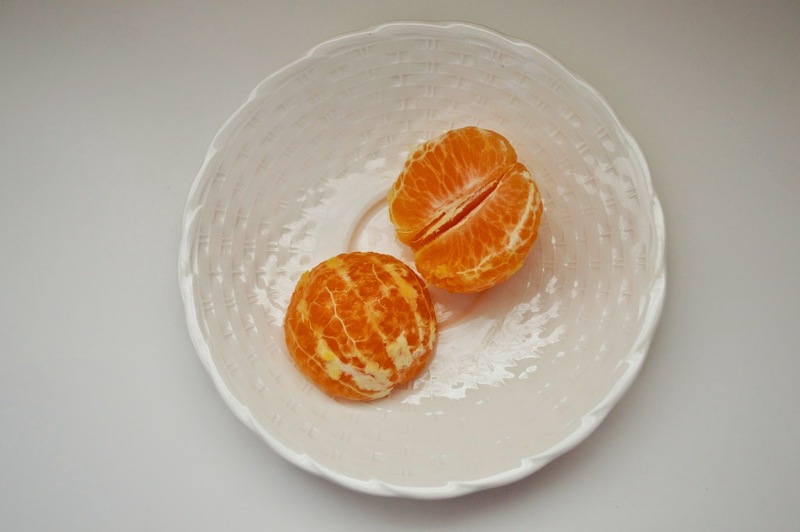 Clementines are definitely my favorite citrus - they're the perfect snack size! I have been eating clementines nonstop. I'm actually addicted: I ate five in one sitting, take two to school every day, have one for snack and one after dinner for dessert! I can't get enough of them! I'm excited to see the picture of this post. I have a tangerine tree at the back yard and love eating tangerine freshly picked.